Spice up the activities calendar. Have a fun happy hour. How does Calypso Ted do it? Jimmy Buffett and Bob Marley." ​"I encourage them to name that tune and sing along." "The rhythmic music will soon have them tapping their feet and dancing around if they want to." ​Hallway and In Room Visits Too!" 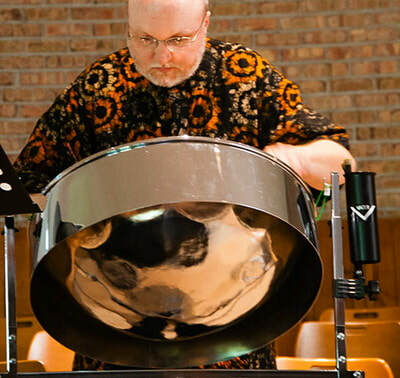 The steel drum music really makes it a party!